Sometimes I go out thrifting and come home empty-handed and slightly dejected. Fortunately, that wasn’t the case today. 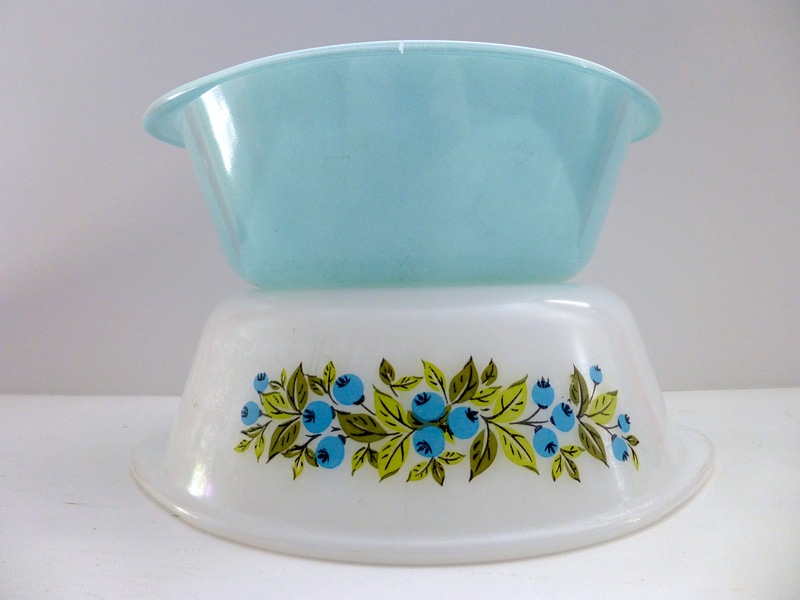 I happened upon a beautiful robin’s egg blue Glasbake casserole dish earlier this afternoon and knew immediately that it would be coming home with me. Here it is with another Glasbake piece that I’ll be posting soon in my shop. Aren’t they lovely? The blueberry motif is a pretty common one, but I’ve never seen anything like the piece I picked up today. I’m feeling pretty lucky on this one! This entry was posted in Uncategorized and tagged etsy, glasbake, vintage. Bookmark the permalink. That light blue is such a pretty color. I hardly ever see that type of glassware that the finish isn’t all scratched up. Awesome find!